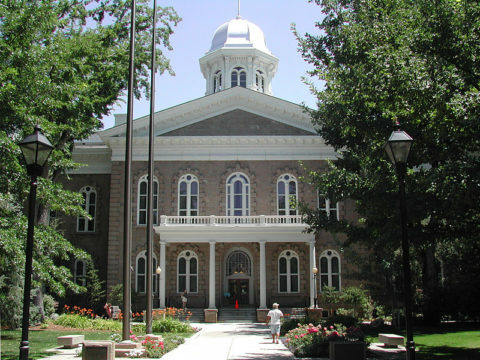 Your immediate action is needed to protect parental rights in Nevada. Two bills that threaten your family are currently making their way through the Nevada legislature and need to be stopped. AB 430 is discriminatory, insulting, and unfair. It blatantly discriminates on the basis of age, disability, and poverty, while “any other risk factor” serves as a “fill-in-the-blank” opportunity for the Division to make its way into any home they choose. The bill would also place too great a demand on a system that is already overworked, to the detriment of children in actual need of intervention. Now these investigators, who already can’t handle their caseloads, will have to schedule home visits for every infant as well? That is not a good idea. Further, opening this sort of investigation into every “at-risk” home, without any showing or claim of abuse or neglect, violates the Fourth Amendment to the U.S. Constitution. The bill ostensibly provides a “voluntary service,” but the one performing that service will in every instance be a “mandatory reporter,” required to report back to the child welfare agency anything they see in the home that suggests to them abuse, neglect, or other wrong-doing. This could be interpreted to replace the correct rebuttable presumption, which is that a fit parent does act in the best interests of their child. The court’s opinion of what is “in the best interests of the child” should not come into play without a showing first that the parents are unfit (that is, abusive or negligent). AB 156 could do away with this appropriate presumption which favors parents. Frankly, we fail to see the point of AB 156, unless it is to pave the way for someone else to override the wishes of fit parents in how their children should be educated. 1) Leave comments on the legislation comment page. Use the simple online form to let lawmakers know you oppose AB 430 and AB 156. Lawmakers read these comments; if we can get enough opposition posted on the page, we can kill both bills before they go anywhere. 2) Contact your (state) assemblyman. Call their office and urge them directly to oppose AB 430 and AB 156 as violations of your family and your parental rights. Tell them it is an affront to suggest the government can make better decisions for your child than you can. Thank you for standing with us to protect children by empowering parents in Nevada! We rely completely on donations to operate.